Rick Richards, an indie screenwriter, has composed a feature-length comedy script entitled The Weather Report. One of the ways he's looking to promote and sell it is thru the creation of a movie trailer. Robert will be directing the project which is schedule to begin shooting August 17th. We're working hard to solidify the cast and crew, finalize changes to the trailer script, and and create the shot lists/schedules within the next week. The story centers around a successful local radio personality who gets fired from his commercial station because of corporate downsizing. After many unsuccessful attempts elsewhere, the protagonist, named Don, ends up turning to the extremely dysfunctional world of cable access TV to make his comeback. Rick and Robert have been reshaping The Weather Report trailer script--moving it away from its movie trailer feel and into a short film that can stand on its own. 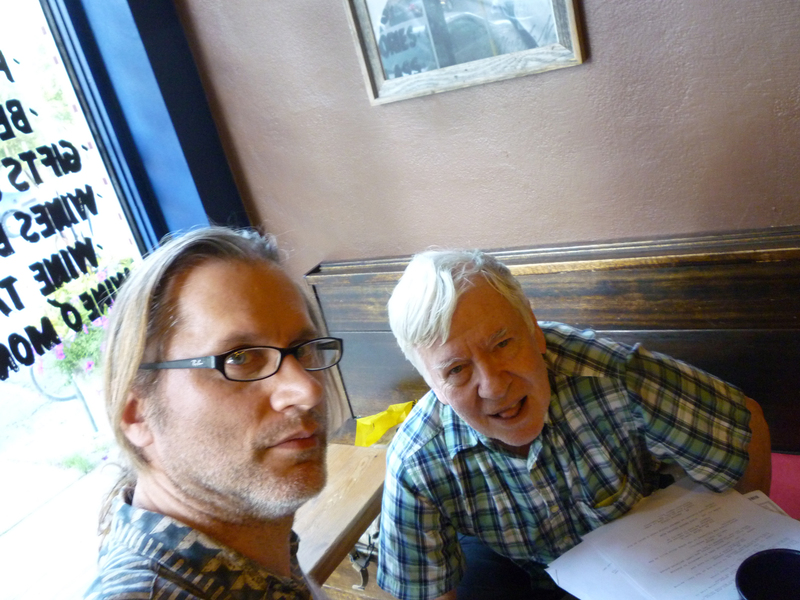 Last evening, film partner Colin Cameron met with Robert to continue this process.